I have received products to facilitate this review. All opinions are my own. 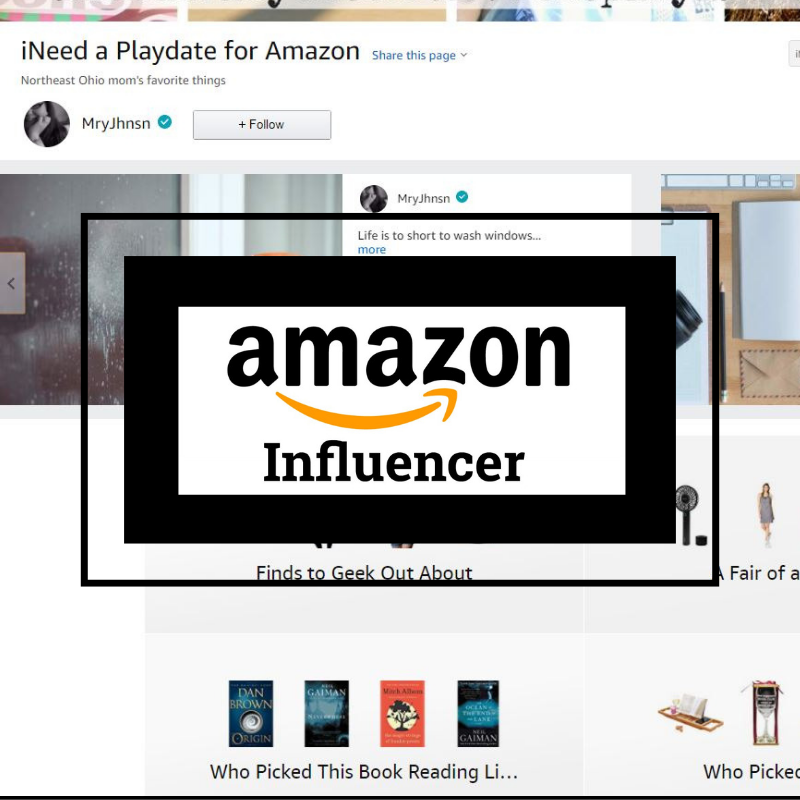 Includes affiliate links. I can't believe we are shopping for school already! 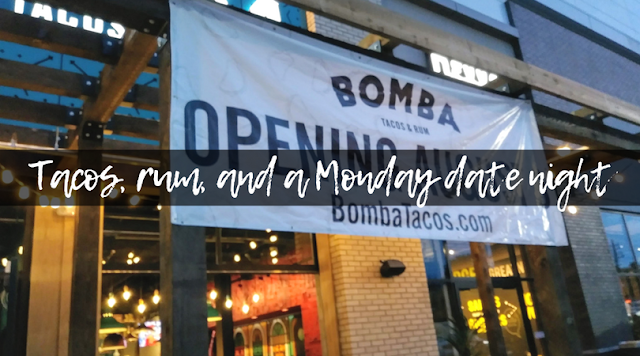 Tuesday, I shared my soon-to-be kindergartner's shopping spree with Gordmans and now for the what's in the bag and the bag! I'm so excited to be sharing some really cool back to school finds that you might not know about from some really fantastic companies. Starting with breakfast and what to carry your books and supplies in and ending with some ideas for what to put in the lunch box. Don't you just love school shopping! Finding something healthy, nutritious and sweet to serve the kids for breakfast is such a challenge. They hate eggs and only one will eat cereal. I was a little hesitant when I was asked to review Vicki's Granola. Not because I don't like granola but because I the kids have never eaten it. Viki's Granola is made from oats, almonds, sunflower seeds, coconut flakes, pecans, honey, canola oil and…that's all! There are no fillers, salts or preservatives. The oldest still won't eat it as a cereal but will eat it by the handful. The little on likes it in a bowl with a small amount of milk and I like it on greek yogurt or like my oldest, right out of the bag. We tried the Banana Walnut and there were lots of big, dried pieces of bananas and you can really taste the walnuts. I may try it on a salad next! You can buy it from their website or from Amazon. Sometime in 2005, I was approached by a colleague to start a recycling program for yogurt cups. She could not remember the name of the company and told me to just google "worm poop." This is how I was first introduced to TerraCycle. TerraCycle has grown from worm poop fertilizer to creating products from trash. Companies and schools sign up for a brigade and collect anything from CapriSun drink pouches to E-Waste. Individuals can join too but with as many items that you would need to collect before sending it off, it's better to have a whole company. Once there is enough, participants send trash to TerraCycle using a prepaid label and trash becomes something useful again. And, not just useful but affordable. TerraCycle sent us a CapriSun pencil pouch and a Lays messenger bag to review. I filled the Lays messenger bag with two large books and my PTA binder which equals about ten pounds. I had the soon-to-be fifth grader carry it for me walking to the library and it didn't rip. 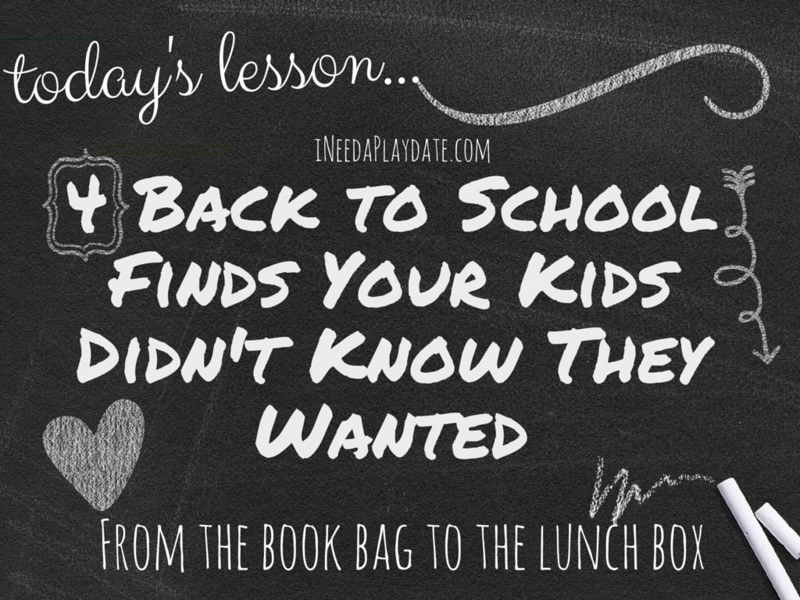 It seems tough enough to use for the school year or just to take books back and forth to the library. The CapriSun pencil pouch is very roomy. This year he won't be allowed to have a box in his desk and this is perfect for his pencils, colored pencils, erasers, scissors, and even a pencil sharpener. I pack my oldest lunch every day. He won't eat the food in the cafeteria, not even on pizza day. Our school system actually has pretty decent lunch menu with edible veggies and not a whole lot of grease. He still won't eat it. I'm glad. I don't mind making lunches, most days. I feel like even though I'm not there at least he knows I was thinking of him when I made his favorite lunch. Wow! That was sugary sweet! Just like my words, I'm not opposed to a sweet treat with lunch and Bauli Italian Mini Croissants in custard or chocolate fit the bill. One or two of these mini croissants are a perfect ending to lunch or as an easy snack while doing homework. Bauli croissants are made using a "mother dough." Water and flour are progressively added to this nucleus to create a croissant dough with natural yeast instead of chemical additives, allowing it to rise naturally. The kids really liked the chocolate but not so much the custard. The custard tasted like a decadent donut but so much better. Bauli is available on Amazon. Ask me what my favorite condiment is and I will always reply - mustard! 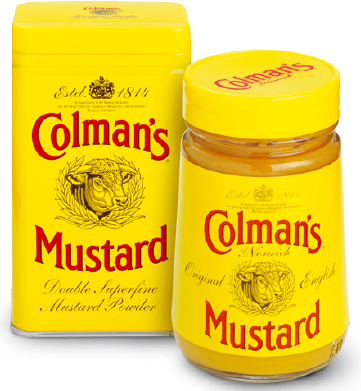 Personally, I'm a stadium mustard kind of gal or at least that was until I was introduced to Colman's Mustard. I've seen it on the shelves for years but never felt the need to pick up one but boy was I mistaken. Colman's has a spicy kick that sort of sneaks up on you and kicks you in the you know where! The great thing about mustard is that you can add it to a sandwich and know that it won't go bad before lunch time. My husband makes his own BBQ sauce and plans to use the mustard powder in his next batch. There are several tasty recipes on their website. Colman's is too spicy for the kids, but I've been slathering it on my lettuce wrapped turkey "sandwiches" for the perfect low carb lunch. The kick makes me feel a little fuller after lunch. You can find it at most grocery stores and on Amazon. This is a bonus item and not because your kids won't want it, but let's face it - what kid will get excited about Carrington Farms' Flax Seeds? 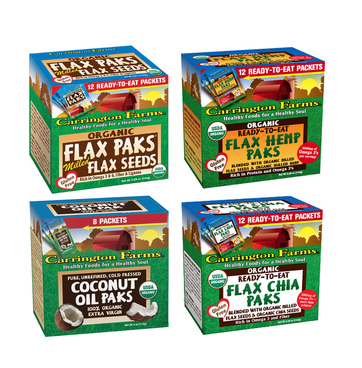 Carrington has made it easy to take your flax seed on the go or if your household is like our household and don't use it often enough for a big bag that might go stale before it's used up. I mainly add them to smoothies, but their website has many recipes to try. You can buy them from their website or on Amazon. I feel like I might have a good start on shopping for the kids and back to school. Stay tuned for Saturday's post for a unique, fun kit for kids' supplies plus you can win it for your favorite student! 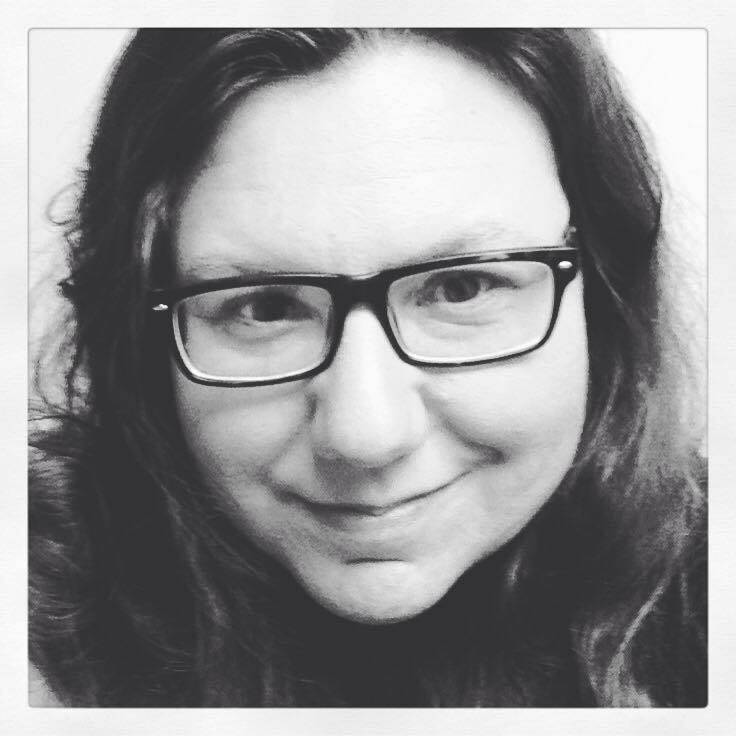 Are you ready for the kids to be back at school?